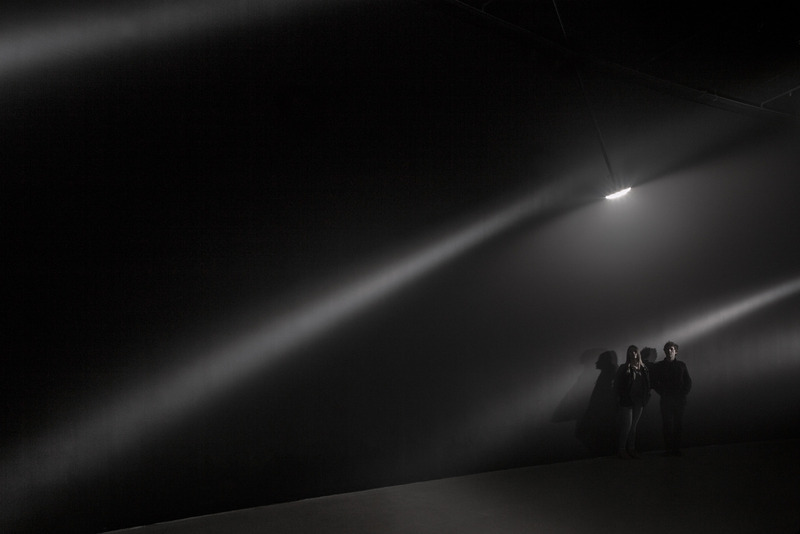 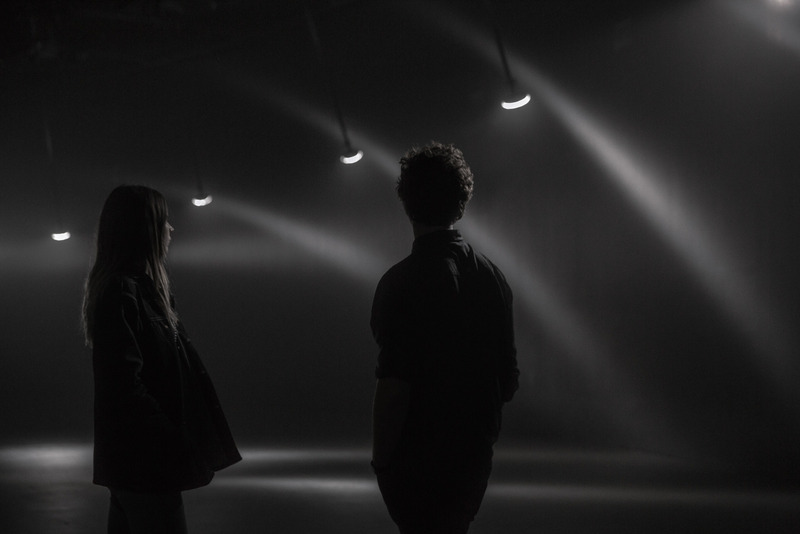 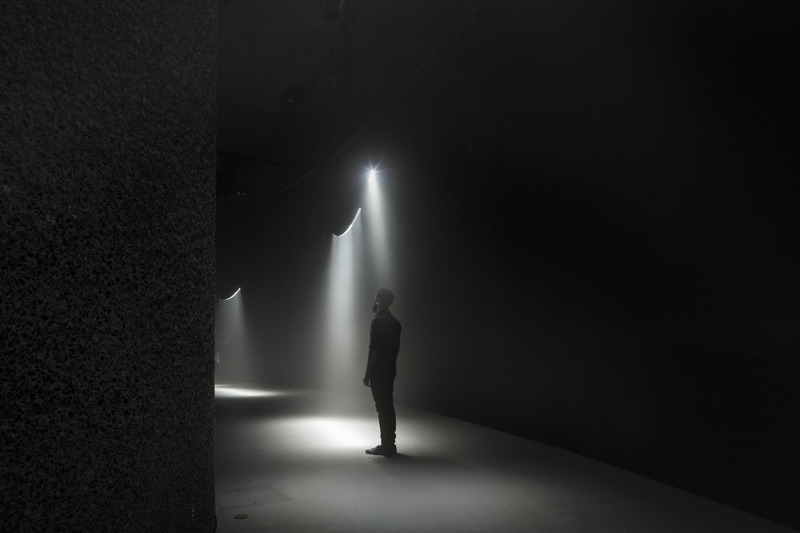 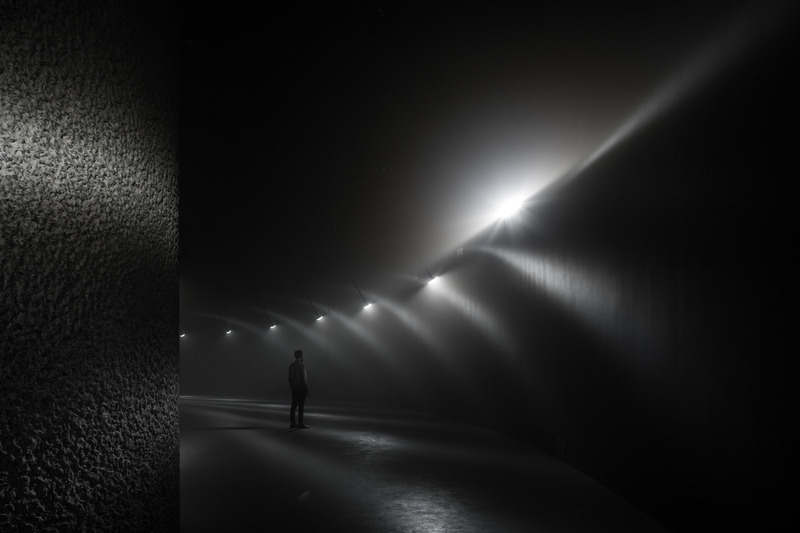 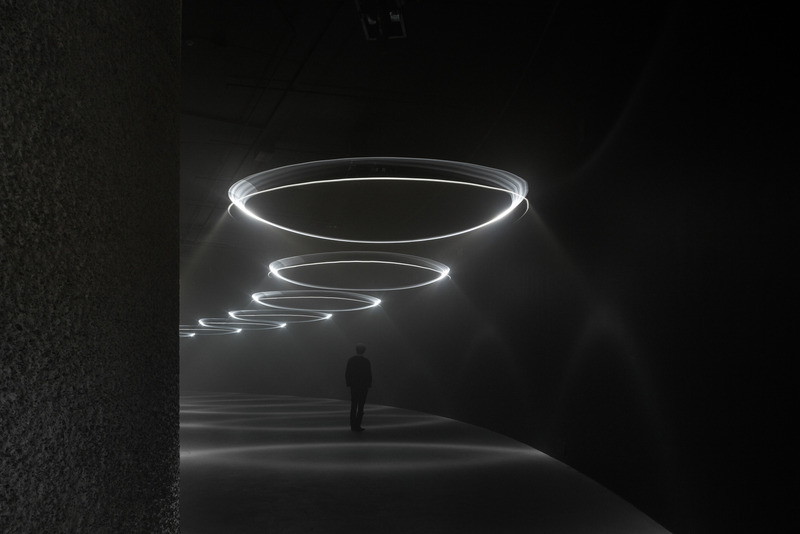 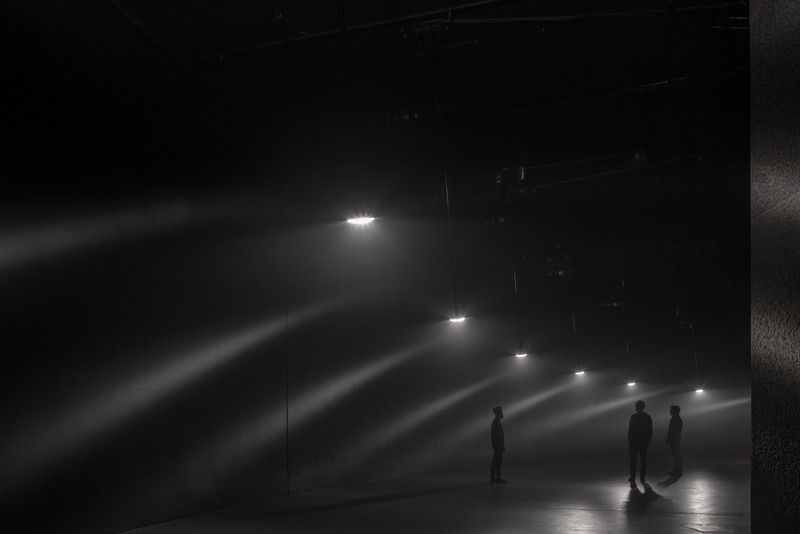 Originally commissioned by the Barbican Centre for its unique 90m long Curve gallery, UVA presented Momentum, an immersive installation that combined light, sound and movement. 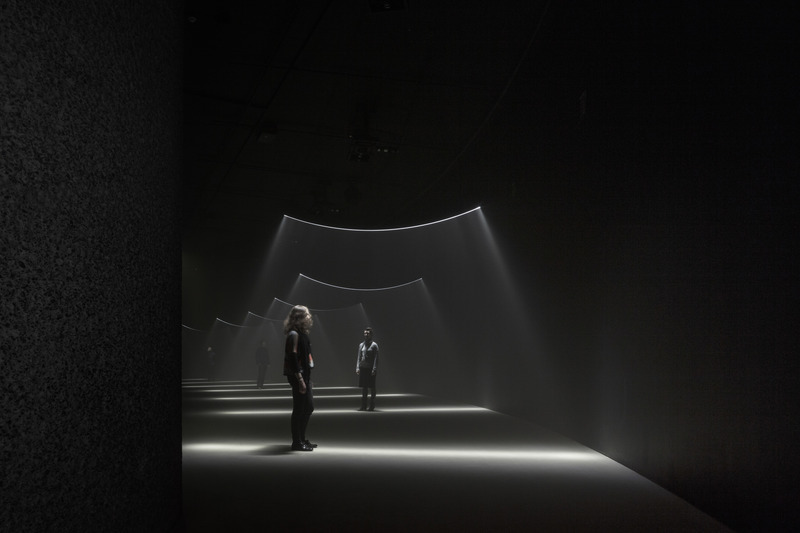 Drawing on physics and digital technology, UVA transformed the Curve into a spatial instrument, installing a sequence of pendulum-like elements throughout the gallery to create an evolving composition of light and sound. 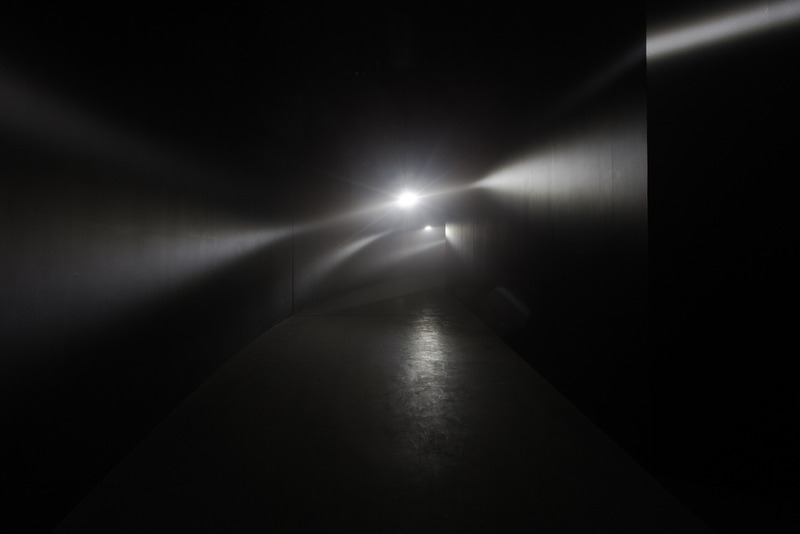 The pendulums – sometimes moving in unexpected ways – projected shadows and planes of light across the 6 metre-high walls and curved floor of the space.Visitors were invited to explore the room at their own pace, their movement through the gallery shaping their individual experience. Momentum is the gallery’s most popular exhibition to date with over 77,500 visitors, an average of 717 visitors per day.